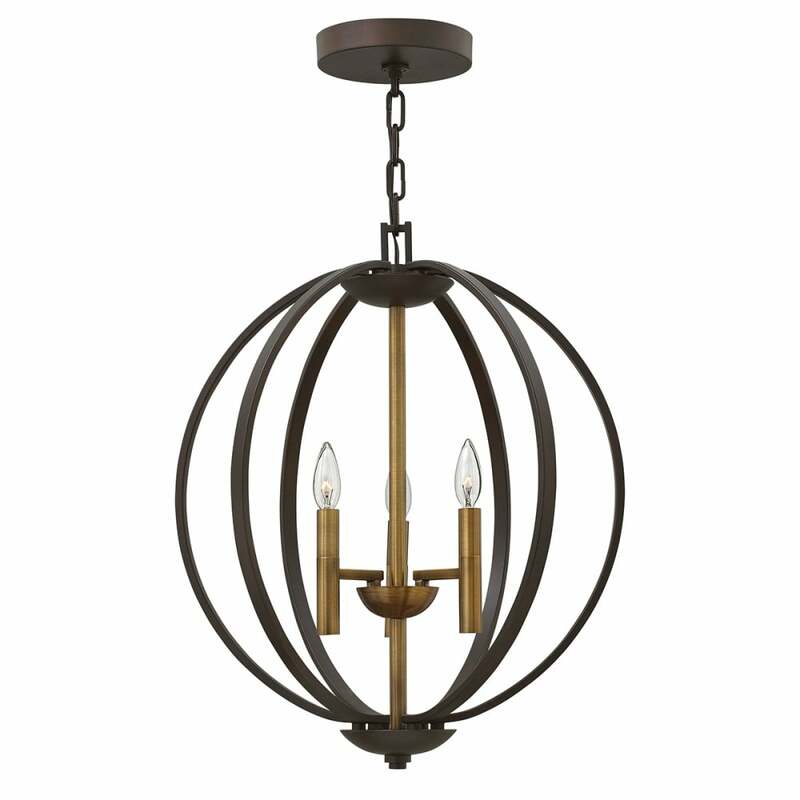 A decorative globe frame chandelier in a bronze finish with chain suspension, the chain is able to be shortened at the point of installation for use in rooms with lower ceilings. This would be great for feature lighting in a dining room or long drop stairwell, a perfect choice for those with high ceilings. It is also suitable for use on a dimmer switch providing the bulbs used are also dimmable. Cable / Chain Length (cm): Supplied with 3048mm of chain.